ISLAMABAD: The special implementation bench of the Supreme Court reserved on Friday its decision in the Panama Papers case after hearing arguments over the final report of the Joint Investigation Team (JIT). Justice Ejaz Afzal Khan observed that if the matter of Maryam being a beneficial owner [of offshore companies] is considered, then the matter of her being a dependent [of the prime minister] will come to the fore as well. The bench also observed that it is possible some mistakes were made by the JIT but overall they worked beyond all expectations. "We will have to see how much of the JIT’s work is implementable," remarked Justice Ejaz. The bench also presented the prime minister's counsel, Khawaja Harris, with the volume X of the JIT report. "We will not show volume X to anyone right now," observed Justice Sheikh Azmat Saeed, adding that a number of issues will become clear after reading the volume. Justice Azmat also remarked that the bench would review the matter of the prime minister’s disqualification. In his remarks, Justice Ejaz also stated that the bench was already reviewing the matter of the prime minister's disqualification, while Justice Ijazul Ahsan remarked that the court would not back down from its decision. Justice Ijaz commented why the prime minister is not sharing with the court the special documents showing proof of the money trail that he provided the National Assembly speaker. This was the fifth consecutive hearing of the bench from July 17, when it began hearing responses of the petitioners and respondents on the JIT's final probe report into the Sharif family’s businesses. During Friday's hearing, the counsel for the prime minister’s children, Salman Akram Raja, completed his arguments and earned appreciation from the bench. The bench also directed for the confidential Volume X of the JIT report to be made available to the premier's counsel, Khawaja Harris. The judges remarked that they want to keep everything transparent. The bench observed that it will operate strictly within the remits of the law and not trample anyone's individual rights. The three-member bench also heard the arguments of Finance Minister Ishaq Dar's counsel as well as the National Accountability Bureau (NAB) prosecutor general today. Dar's counsel submitted additional documents to the court and hoped it would answer the queries raised by the court earlier. The NAB prosecutor informed the bench that they will 'soon' decide whether to reopen the Hudaibiya Paper Mills case. Once the respondents' counsels completed their arguments, the petitioners' counsels were given a chance to respond to the replies of the respondents. The bench began its proceedings around 9:30am. The counsel for the premier's children, Raja, informed the bench that there are several law firms in London that operate on Saturdays, to which the bench agreed. The counsel also clarified before the bench that the firm of his predecessor, Akram Sheikh, may have made a clerical error which led to a confusion of dates regarding ownership of offshore companies by the premier's children. 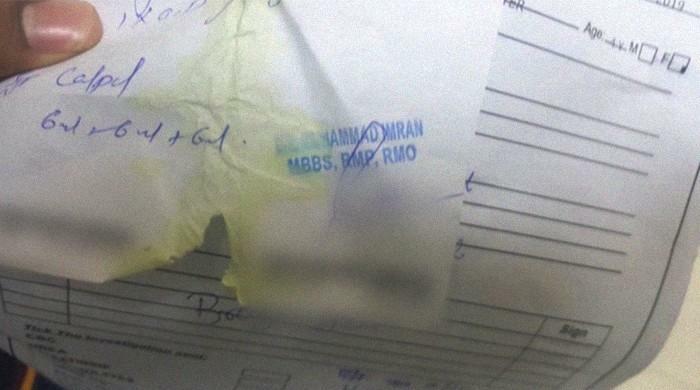 "We cannot even think of submitting false documents to the court," claimed Raja. During the hearing, the bench also directed the production of Volume X of the JIT report, with Justice Azmat observing that they want to keep everything transparent. The bench asked the prime minister's counsel, Khawaja Harris, to examine specific sections of the volume. Volume X of the report was kept confidential at the time the JIT report submitted its final report. The JIT had asked the Supreme Court not to make the volume public as it contained material related to ongoing international cooperation in the investigation against the Sharif family. Raja informed the bench that the prime minister’s children are responsible for their own businesses, saying their grandfather aided them financially till 2004. Later, addressing Raja, Justice Azmat observed, “you did well today”. Presenting his arguments, Raja claimed that the Qatari prince was not given the option of recording his statement via video link. Justice Ejaz remarked that they will swim against the tide, within the remits of the law, if they have to. The bench observed that action is taken in accordance with the relevant law if the assets of a public office holder are more than his known income sources. Justice Ijaz commented that the prime minister, in his speech in the National Assembly and before the nation, said he has all the necessary proof but they are waiting for this 'proof' for over a year. The judge observed further that Capt (retd) Safdar’s assets declaration does not mention Maryam’s beneficial ownership of offshore companies. Later, Finance Minister Ishaq Dar's counsel began presenting his arguments before the bench. 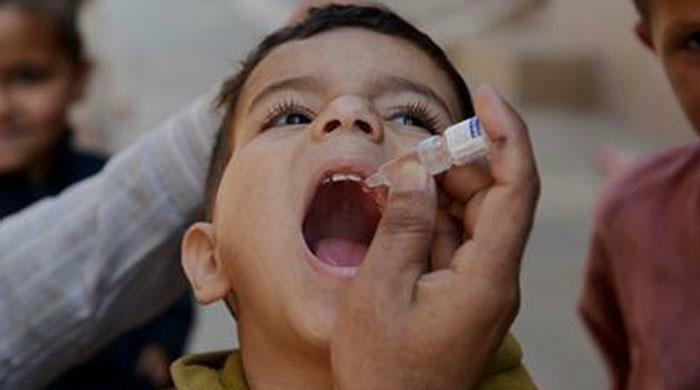 Dr Tariq Hassan also argued before the court earlier in the week. Dr Hassan said he was asked tough questions by the bench during his last appearance. He informed the bench that he has submitted 34-year records of his client, which should hopefully answer all the court’s queries. Justice Ejaz observed that the bench will examine all the documents in detail. Justice Ijaz observed that even if the Hudabiya Paper Mills case is kept aside for a moment, there is sufficient material against Dar. Hassan said he does not have the employment records of the finance minister, who served as an adviser in the Middle East. Hassan argued that his client is tired of all this scrutiny, saying “This needs to stop”. He said Dar appeared before the JIT as a witness but it seems here that he was a suspect. Justice Ijaz observed further that Dar's son transferred funds to Hill Metals Establishment. "Tariq Sahab you have done justice to your client. Now let us do justice with him too," remarked Justice Azmat. The judge further observed that the bench cares about all the respondents and will proceed according to the law. Dr Hassan later completed his arguments after which the NAB prosecutor general took the stand. “NAB is pondering whether it can reopen the Hudaibiya Paper Mills case and will make a decision in around a week,” he said. “How long will you think about this?” responded Justice Ejaz. Afterwards, Pakistan Tehreek-e-Insaf's (PTI) Naeem Bukhari began his arguments on the replies of the respondents. Bukhari argued that Nawaz Sharif did not declare his association with FZE Capital. "He is not sadiq and amin in front of the people," he said. When asked by the bench that the other side claims the prime minister did not receive any salary, Bukhari claimed the proof of the premier receiving a salary exists. "Nawaz Sharif concealed payment of salaries as well as his appointment as the chairman of FZE Capital," said Bukhari. He added that Hussain gave his father Rs1 billion in 'gifts'. The PTI chairman's counsel claimed the premier lied in his speech in the National Assembly and also violated his oath of office. Justice Ejaz inquired if public office holders can be privately employed, observing that judges are clearly not allowed to engage in private work while in office. 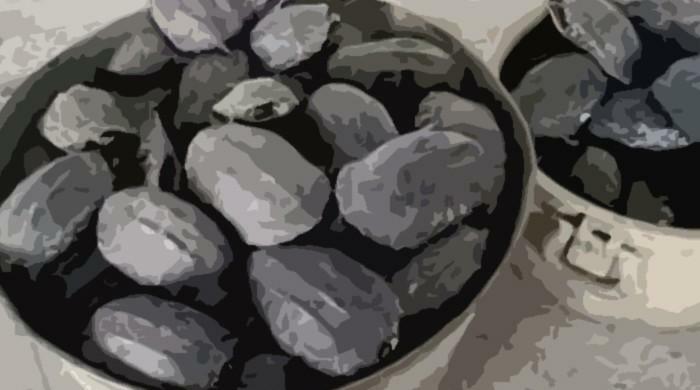 The additional attorney general commented that there is no clear cut restriction regarding this on the prime minister. Bukhari argued that the matter relates to a conflict of interests. 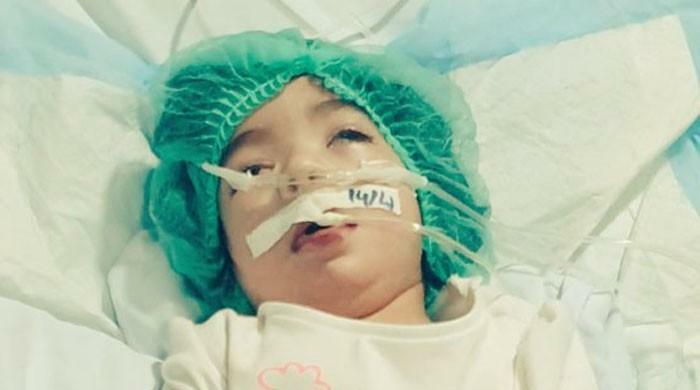 "Maryam is the frontwoman of her father," alleged Bukhari. Justice Ejaz observed that they will have to determine if the prime minister's children had any source of income in the 1990s. 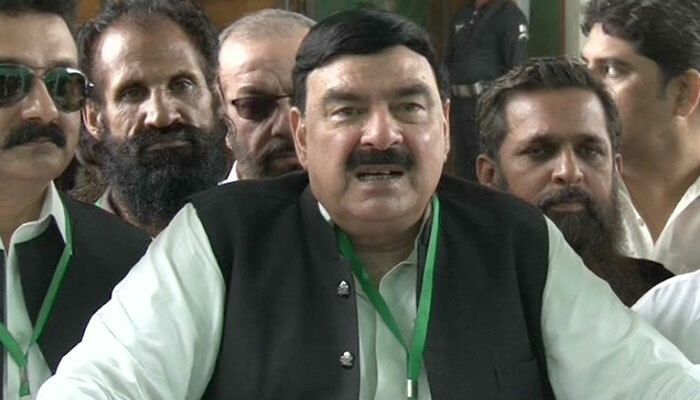 Following Bukhari, petitioner Sheikh Rashid presented his response to the respondents' arguments. "Nawaz Sharif made threatening remarks regarding the JIT," said Rashid, adding that this amounts to contempt. He claimed the money trail was not provided to the court despite repeated requests of the bench. "There's nothing in the case if you take out the Qatari letter," he added. 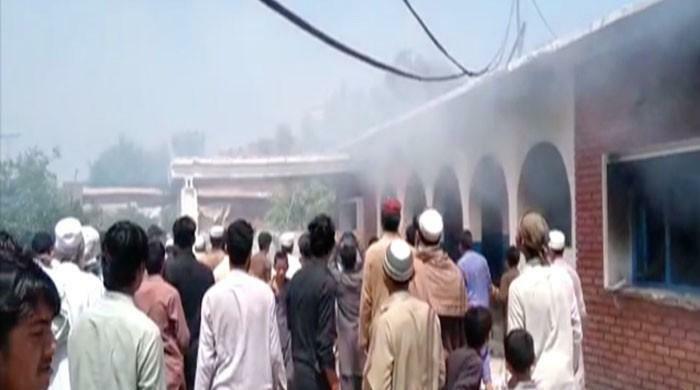 Following Rashid, Jamaat-e-Islami's (JI) counsel presented his arguments after which the bench reserved its judgment and adjourned the hearing. On Thursday, the bench observed that prima facie, the case relates to submission of forged documents. During the hearing, the bench was informed that there is a seven-year imprisonment term for those who submit false documents in court. Throughout Thursday’s hearing, the members of the bench remarked at different times the absence of any money trail with regards to the Sharif family's London properties as well as the Azizia Steel Mills in Jeddah. 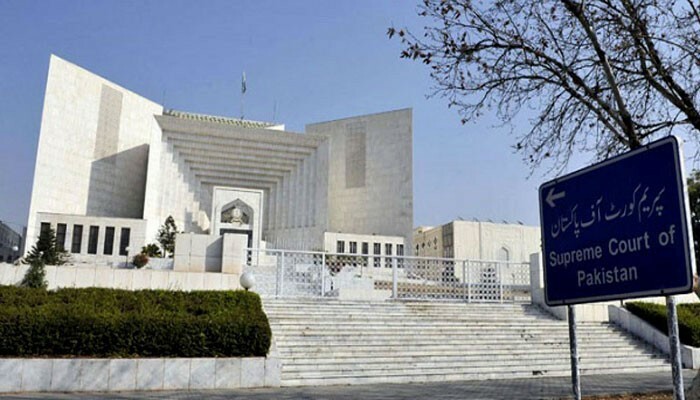 Justice Ejaz observed that in case the ownership and money trail of the London properties is not proved by the premier’s children, they will question the public office holder. 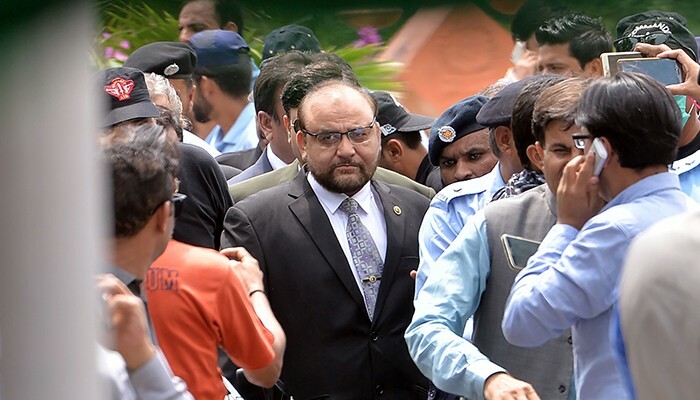 During the hearing, Raja also submitted a 17-page petition listing objections on the JIT report, pleading for dismissal of the report and its 'evidence'. Earlier this week, the bench heard arguments of the petitioners over the JIT report, submitted on July 10, and was now hearing the replies of the respondents. Prior to the start of Friday's proceedings, Awami Muslim League (AML) chief Sheikh Rashid, one of the three petitioners in the Panama Papers case, addressed the media. 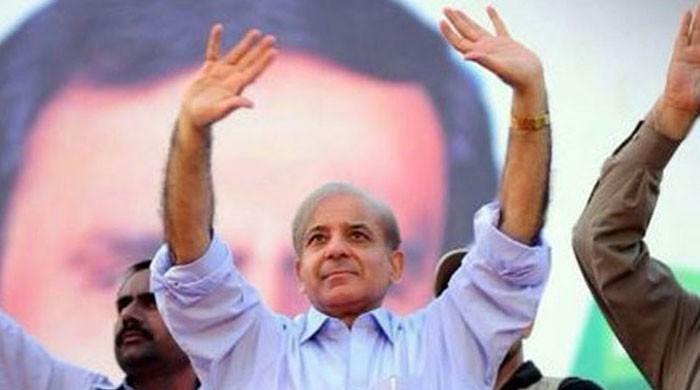 He said he expects the case to finish today, adding that “Millions want to be rid of Nawaz Sharif”. 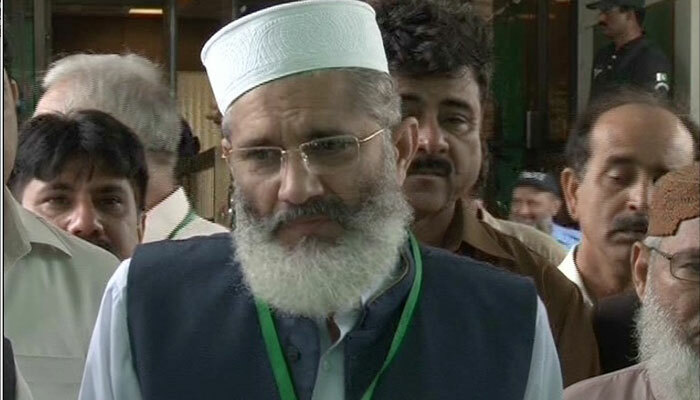 Jamaat-e-Islami chief Sirajul Haq, another petitioner in the case, said whatever the decision of the apex court is, the country and people’s future is attached to it. 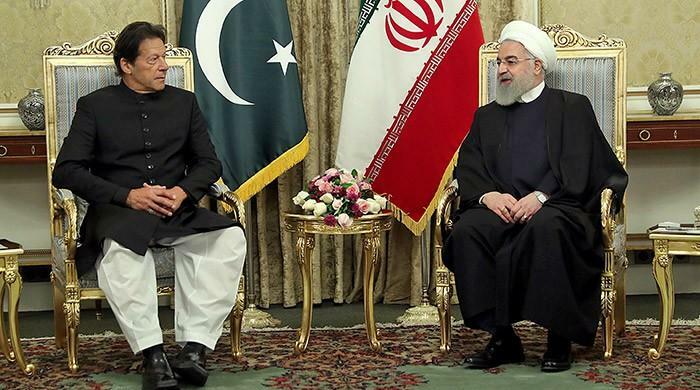 “We pray, believe and hope that the country is rid of corruption as a result of the decision,” he said, adding that Pakistan is the only country in the world where the rulers think they are above the law. 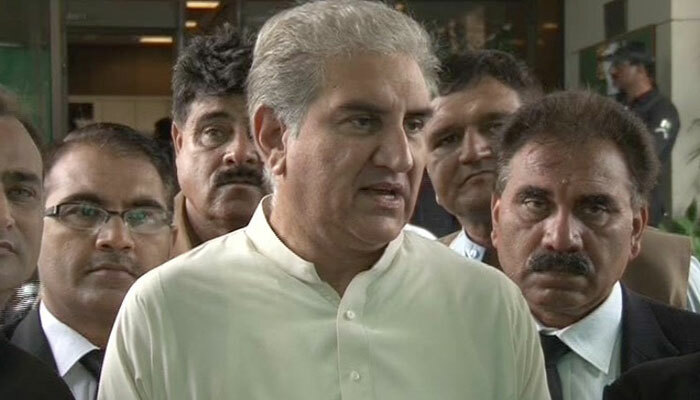 Pakistan Tehreek-e-Insaf (PTI) Vice-Chairman Shah Mehmood Qureshi, addressing the media, said it is expected the court will reserve its decision today. “The PTI’s fight isn’t with a person or a family but with corruption,” he said. Qureshi argued that the PTI is fighting for the rule of law. “I hope the Supreme Court won’t let the people down [with its decision],” he added. 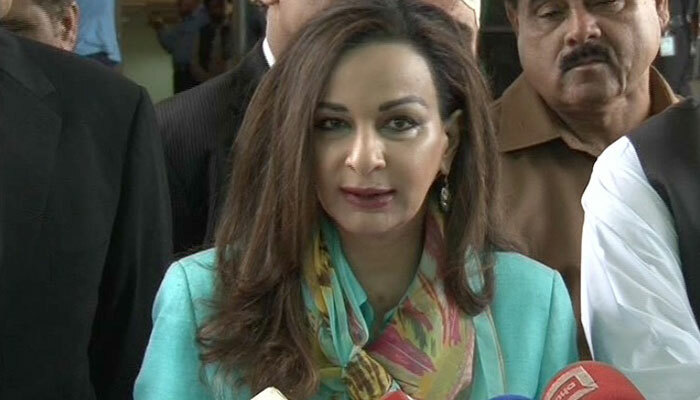 Addressing the prime minister, Pakistan Peoples Party’s (PPP) senior leader Sherry Rehman said if you don’t recognise this accountability then you are questioning the Supreme Court. The PPP leader was referring to the premier’s remarks at the Lowari Tunnel yesterday wherein he lashed out at the JIT and the PTI for their ‘victimisation’ not ‘accountability’. 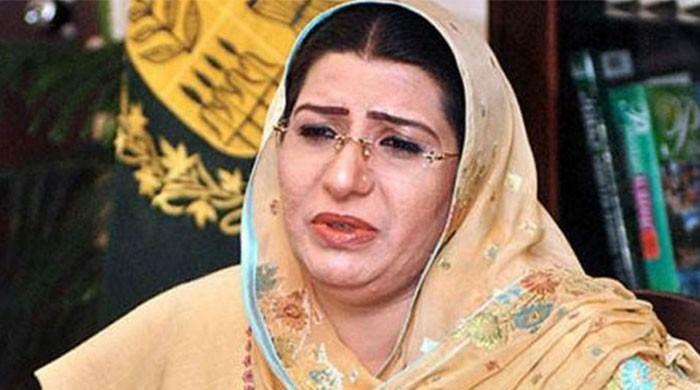 “If a PPP prime minister had said what Nawaz Sharif did in Lowari, then he would have been held in contempt of court,” she said. Sherry pleaded the premier to step down as he is making every state institution controversial. 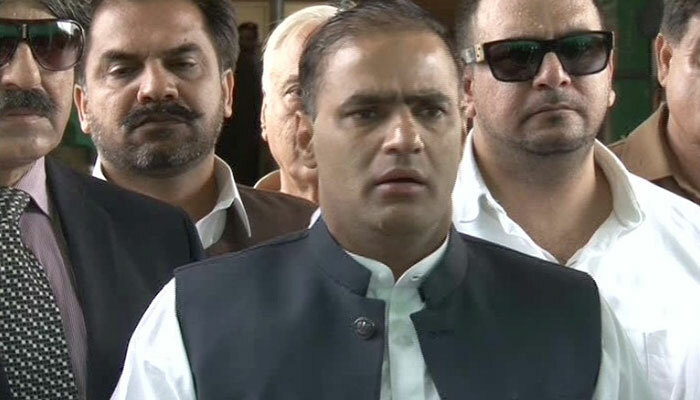 State Water and Power Minister Abid Sher Ali lashed out at PTI chief Imran Khan, saying a room should be prepared for him in a mental asylum as he will go insane following the court’s verdict [in Nawaz Sharif’s favour]. Criticising the stance of PPP leaders against corruption, Ali said “I was shocked to see [Qamar Zaman] Kaira and Sherry talk about money trails and lecture on corruption yesterday”. He quipped that the walls of the Supreme Court shake when these PPP members talk against corruption. The minister vowed to resign if AML chief Sheikh Rashid can prove the money trail of his properties in Murree, Islamabad and Fatehjang. Continuing his tirade against Imran’s father, the minister reiterated his allegations terming the PTI chief’s father a corrupt man. PTI Spokesperson Fawad Chaudhry said the prime minister should have resigned earlier. “There’s still time, don’t wait for the court’s decision,” he suggested. When asked to comment on the presence of PPP leaders in the hearing, he said “they have to come to take the winning cup of a match they didn’t even play”.